Riverdale’s “core four” may be scattered to the wind, but that doesn’t stop Hiram Lodge from making all of their lives more complicated. 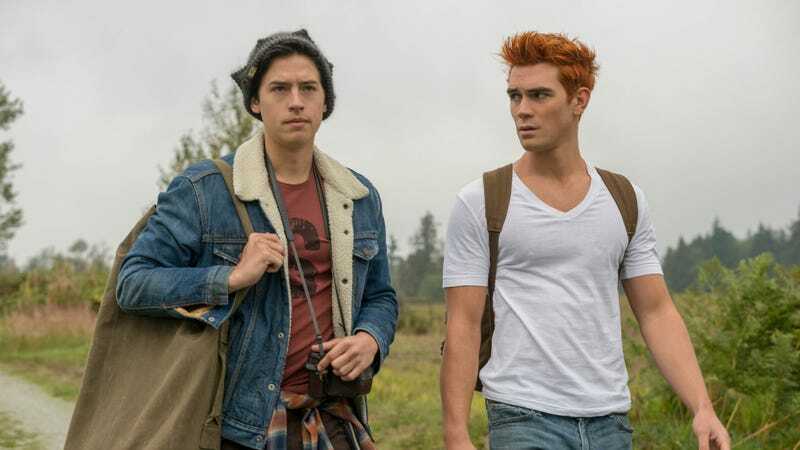 The titular “Man In Black” is the connective tissue of a particularly loopy Riverdale, which sees Archie fantasizing about farm life, Veronica downing virgin martinis, and Betty fighting for her sanity. Hosts Marah and Cameron ponder the science of “bullio lapis” and try to piece together Hiram’s master plan, as Dial M For Maple looks ahead to the show’s mid-season finale.